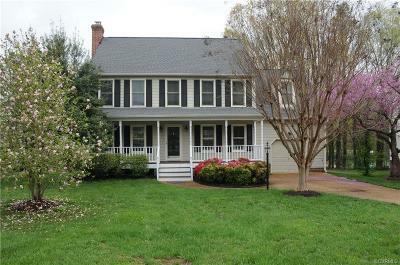 Located in THE best school district in Richmond, this fresh, four bedroom colonial boasts an absolute ideal location within Short Pump's most desirable neighborhood. Almost the entire inside of the home has been freshly painted in gorgeous neutrals. New lighting and plumbing fixtures can be found throughout. Brand new stainless steel appliances in the kitchen accent the fresh-painted cabinetry. Large, vaulted master bedroom with walk-in closet and master bath. Amply sized rooms throughout. You will love the walk-up attic in the second bedroom with loads of storage. 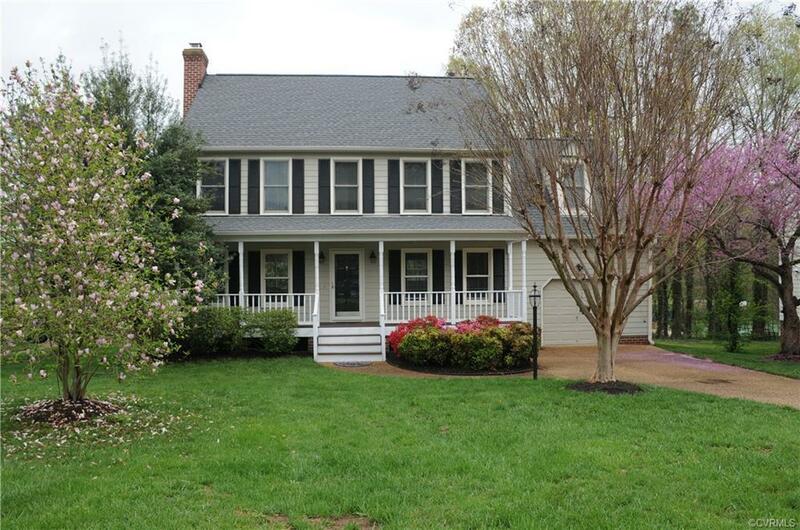 Spend time on your full front porch, or in the backyard on one level of your three decks with a view of the neighborhood pond with its gorgeous sunset view and Dominion Club. Large, fenced yard (with double truck gate in rear) backs up to one of Wyndham's parks that includes walking trails, basketball, and playground. Other neighborhood amenities include tennis courts, community clubhouse with a gym, large pool and many beloved social activities. The one car garage has extra storage and shelving. Lovingly landscaped. Sellers will miss their loving home, but reluctantly have to move. You won't want to miss this one! Directions: Nuckols Road North, Turn Right Onto Wyndham Park Drive, Then Right Onto Dominion Club Drive. Turn Right Onto Park Forest Lane To 5960.